Professor Chad Williams featured in PBS special "Reconstruction: America After the Civil War"
Learn about the full story of the misunderstood and misrepresented chapter in American history from the PBS special "Reconstruction: America after the Civil War" featuring Professor Chad Williams. The weekend featured Angela Davis '65, Julieanna Richardson '76, H'16, Hortense Spillers, PhD'74 and more. Take a trip through the history of the African and African American studies department at Brandeis, which marked its 50-year anniversary milestone with a two-day academic symposium. 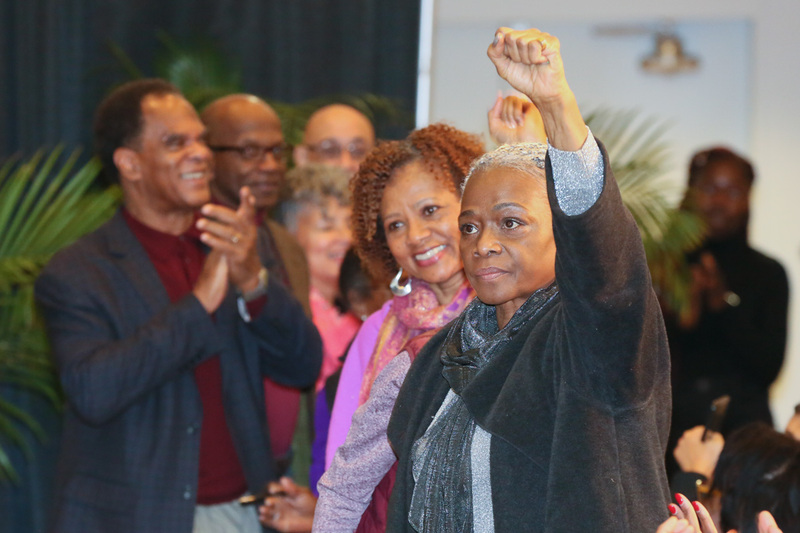 Re-live some of the best moments from the African and African American Studies department's 50th anniversary commemoration in this slideshow. Hortense J. Spillers, PhD’74, an American literary critic, black feminist scholar and the Gertrude Conaway Vanderbilt Professor of English at Vanderbilt University, has been honored with the Brandeis University Alumni Achievement Award. Provost Lisa Lynch presented the award at the conclusion of the African and African American Studies Department’s 50th Anniversary commemoration held on campus February 8-9. (The Justice) Fifty years after the Ford Hall occupation in 1969, the Brandeis community gathered to commemorate the 50th anniversary of one of the demands those students made: an African and Afro-American Studies department — now called the African and African American Studies department. 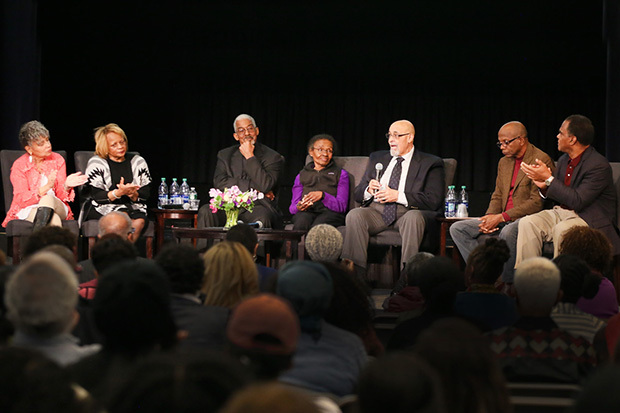 (The Justice) Hundreds of Brandeis students, faculty and alumni convened in Levin Ballroom on Feb. 9 for the AAAS and Alumni Legacies Panel as part of the 50th Anniversary Commemoration of the the Department of African and African American Studies. (The Justice) Angela Davis ’65 spoke about her experiences as an activist and Brandeis student on Friday as the keynote speaker for an event series commemorating the African and African American Studies Department’s 50th anniversary. (The Justice) The Department of African and African American Studies (AAAS), established on April 24, 1969, is celebrating its 50th anniversary this week, but the history of Black students and their influence at Brandeis existed long before then. Sophomore Kwesi Jones is an artist in every sense of the word. 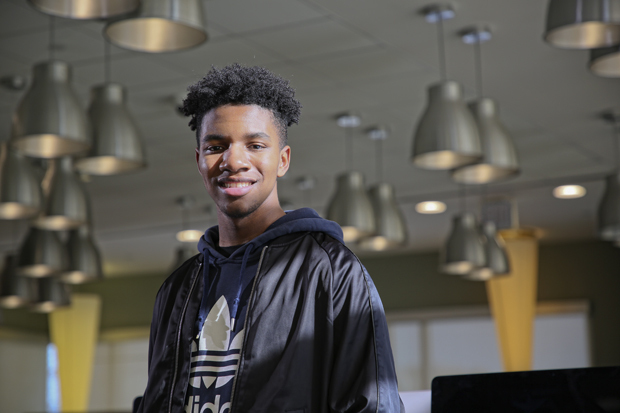 His latest work showcases the history of black studies at Brandeis through film. Hortense J. Spillers PhD'74 is an American literary critic, black feminist scholar and the Gertrude Conaway Vanderbilt Professor of English at Vanderbilt University, and on Feb. 9 will receive Brandeis' Alumni Achievement Award during the African and African American studies 50th Anniversary Commemoration. But before she began accumulating awards as a leader in her field, she was a newly-minted PhD candidate driving a Buick Skylark from Memphis to Brandeis in the tumultuous summer of 1968. In answer to questions posed by Faith Lois Smith, associate professor of African and African American Studies and English, Spillers discussed her evolution as a scholar and what black feminist theory can teach us in the present moment. The 50th Anniversary Commemoration of African and African American studies features a two-day academic and cultural symposium on Feb. 8-9. Congratulations to AAAS affiliate faculty member Janet McIntosh whose book, "Unsettled: Denial and Belonging Among White Kenyans," received an Honorable Mention for the American Ethnological Society's Senior Book Prize.